Do you want to learn everything I know about diabetes, exercise, and nutrition? The Fit With Diabetes eBook is your chance to get your hands on over 80 pages of knowledge, techniques, and tools to set yourself up for success living with diabetes. Is the Fit With Diabetes eBook right for you? I wrote the Fit With Diabetes eBook to share my knowledge of how to exercise and eat healthily with insulin-dependent diabetes. This is knowledge that I think is essential if you manage your diabetes with insulin – no matter if you use a pump, pen, needle or inhalable insulin. If you don’t use insulin, parts of this book will not be relevant to you. Note: The book is based on my popular Fit With Diabetes Challenges and some of the content is freely available on Diabetes Strong. If you don’t want to buy the book, try searching the website for the information you need. I’m Christel Oerum, I’ve been living with type 1 diabetes since 1997 and am the co-founder of Diabetes Strong. The Fit With Diabetes eBook is based on my experience as a fitness professional living with diabetes as well as all the scientific information I’ve researched. I wanted to write this book because everybody living with diabetes should have access to the knowledge of how to successfully exercise and eat healthily with diabetes. My motto is “there is nothing you can’t do with diabetes – as long as you have the right tools and knowledge”. 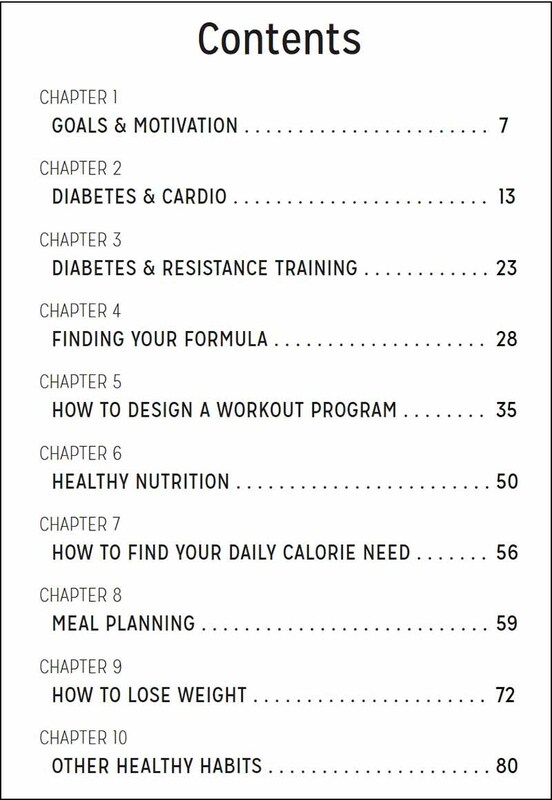 I promise that when you’re done reading this book, you’ll have a good base knowledge of the main themes when it comes to diabetes, exercise and nutrition, and the tools to be successful, not just now, but in the future as well. My Friend is Type one diabetic since the age of 9 yrs. She is 30 years old . Currently her Hb1AC is 8.0% . She has started Running since one year. But often experiences breathlessness. She is non alcoholic , non smoker. currently since one month she has joined a gym too and taking 20 g of post workout plant protein in 225ml cold water ( Unived) . In morning at times her insulin is very high and during the day often drops low although she does not feel hypoglycemic. I highly recommend she gets cleared by her doctor before starting an intensive fitness routine. Significant breathlessness should be checked out by a doctor. Thank you Christel, I have even purchased your Fit With Diabetes eBook yesterday which I personally feel is very informative. Currently my friend is registered with Juvenile Diabetes Foundation in Mumbai , where Dr. Vijay Ajgaonkar who is the Founder of this Foundation in Mumbai, India has eminent doctors to consult under his wings. I will surely take their consult. Your suggestion and inputs has surely helped me and will surely update you on the process and results of my friend. I am T1 for 54 years. Been trying keto with fasting to lose weight (I have lost 10 lb./3 mo) Barring low glucose levels, I am trying to fast from 7 pm- 12 noon . Today my levels were great, I at 12 I ate Bone broth, spinach, chicken homemade soup. B’s is 240 at 3:00pm. I just finished walking 2 mi. Any help? For the first time in my history of diabetes 1 ( 43 years) I have the answer to my question why walking fast en biking drop my sugarlevel and resistanttraining or pilates increases my sugarlevel. I am so glad that you write about this and that it is not me who is not normal ha ha. So even in Holland you help people by figuring this out. Thank you, good job! Hi, Is it possible for me to buy and not download the book? I am in Cape town south africa. I am diagnosed with type 2 diabetes . The doctor said that I need to try to control it by my own , because the my A1C is to low to put me on medications – 7,4 . So everyday I do fast walk 1,8 -2 miles and trying to stay away from starchy vegetables and candies . Last 2 months I am keeping it in 100 -120 after fasting and 100 -125 2 hours after meals . Do You think that I am ok or I need to download the whole book ? Hi Janet – sounds like you’re doing amazing! I’m not sure you need the eBook to continue your journey but would recommend reading my A1C guide (You can click HERE). I realized all comments are from people with T1 diabetes. Will this also works for people who is with T2 diabetes for only 2 years experience? While the recipes and general guidance are relevant for all this eBook focus a lot on how to manage insulin dependent diabetes, exercise and nutrition. So, if you’re not using insulin, or only do basal insulin, this might not be the right book for you. How will your book help a person who has been diagnosed with T1.5 LADA diabetes? I started taking insulin a year ago and has since gained 26 lbs. after losing 55 lbs. I was diagnosed as T2 prior to the T1.5. Go figure that one. Lol! So happy you’re finally getting the right care! Is there any way to get this book other than downloading to my desk top? Hi Sue, it’s a PDF document so it should work on most mobile devices as well. At least iPhone and Android. I just wanted to let you know how much I loved your book! I was expecting to learn a lot but I didn’t expect the book to literally answer all the questions I had about exercising with diabetes. That was the best part for me but I also loved the meal plan and diet advice. Thank you Christel!! Deborah – I’m so glad to hear that! Thank you for that feedback, I did go for a very comprehensive guide so I’m glad that it lived up to that. Hi Tobias, thanks for your quick reply. I’m using Safari on a Mac with High Sierra. When I click the links to the book I am taken to a page which says “your cart is currently empty”. Your link is just the same. I have tried this with Firefox and the result is the same. When I go to the main shop page at https://diabetesstrong.com/shop/ the result is the same for the book. I’ve tried this with both the “Download this Book” link and the “Add to Cart” buttons, with no success on either browser. I tried using other links on that page for T-shirts and Books, but they take me to other websites – those purchase links work. That is really strange. I just tested it on 3 different devices and it works for me. Do you mind sending me an email at [email protected] so we can figure this out? If you could take a screenshot of the page you get to when you click the button, that would be fantastic as well. I just finished the book and came straight here to leave a review. I LOVED IT!! Thank you for everything that you do for us with diabetes. I don’t know anywhere else to get the information you share in the book and on the website. It’s so great to learn from a real person with diabetes who knows what it’s like. Everyone: If you haven’t bought the book, do it! Or at least read all the diabetes posts here on the website. You will learn so much. Oh thank you so much, Susan!! I’m beyond thrilled that you enjoyed it and found it useful and learned something new. Your book is amazing. I am only halfway through and I have already learned more about diabetes than I have in the 13 years since my diagnosis. Thank you Christel!